I/we got a lot done today. Love that feeling! I crossed a few things off my to do list. I’ll tell you about some of that in the next post. I did get to yoga from 8:45-9:45 a.m. and lifted a few weights after. The yoga poses we did today were pretty similar to what my Thursday class had done. The teacher I had this morning is just a little more challenging because the poses flow more quickly. 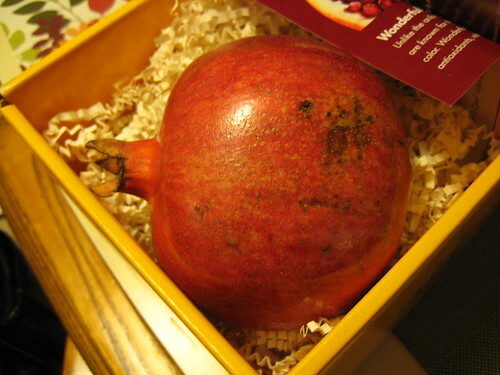 When I got home, I broke open the POM pomegranate that has been sitting on our counter for weeks.